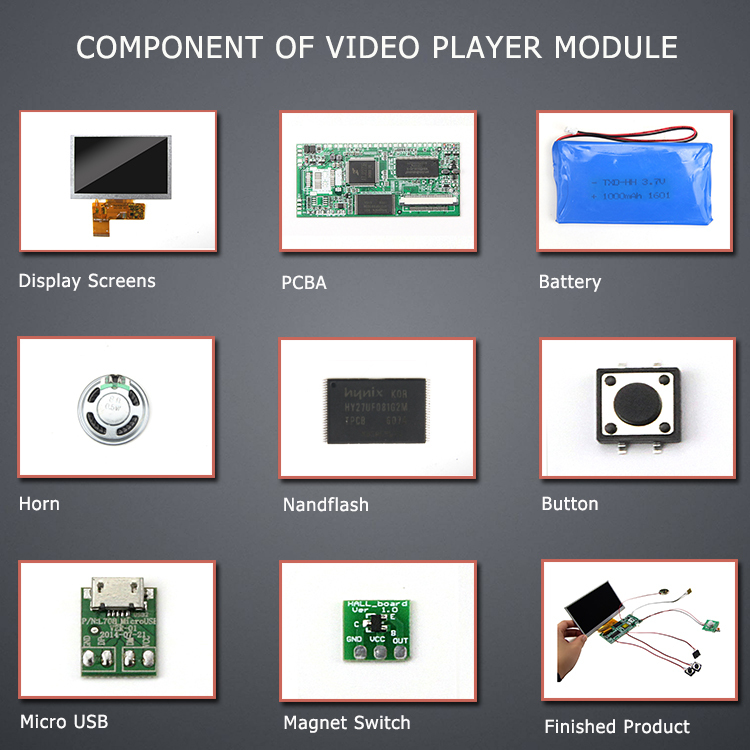 A video module is a motherboard+7 inch LCD screen for video greeting card/video brochure/video booklet and other video products. 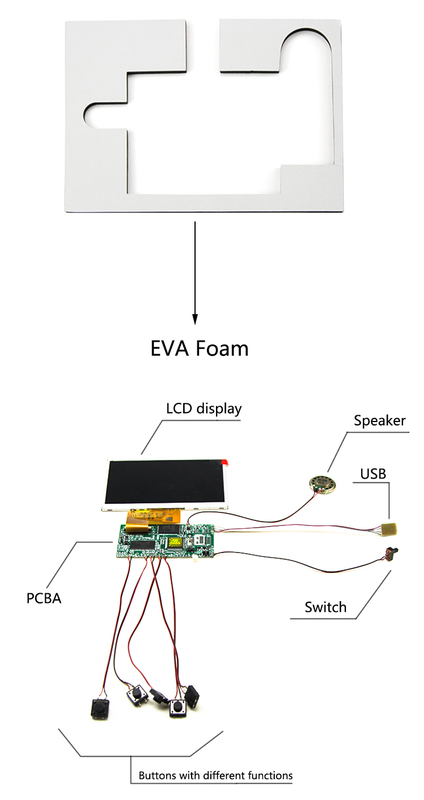 With build-in 256MB memory(or customized from 128mb-4gb), all types video/music/picture are supported and high quality build-in battery allows the video can play all the time, chagred by micro/mini USB cable. 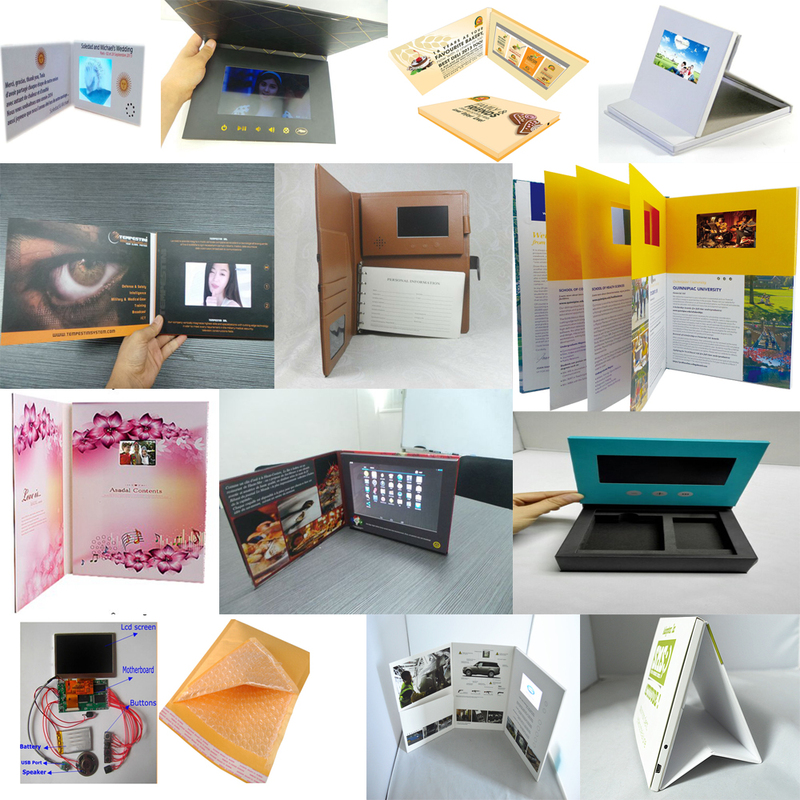 The video modules can be used for video brochure,video business card,video gift box,video calendar,etc. 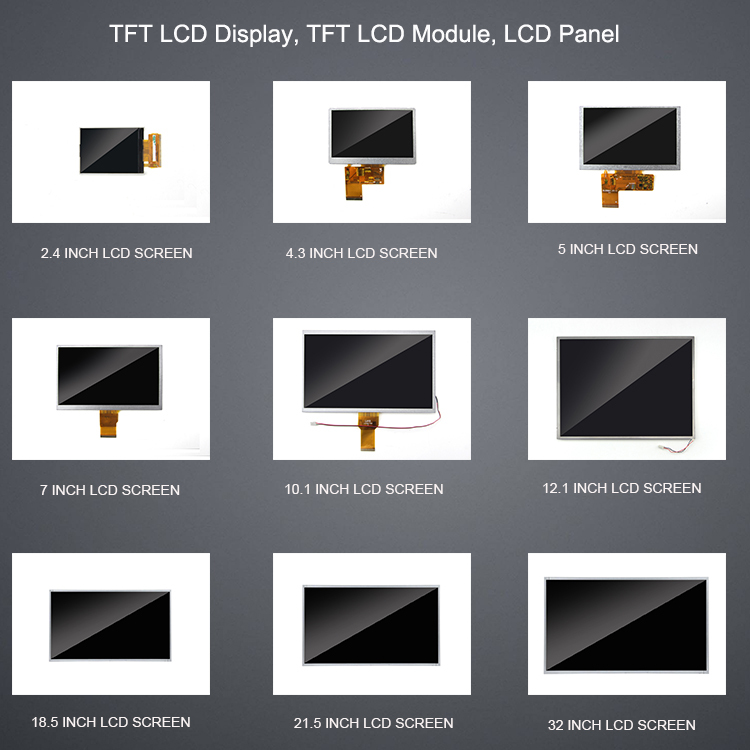 With different sizes LCD player and customized brochure design.